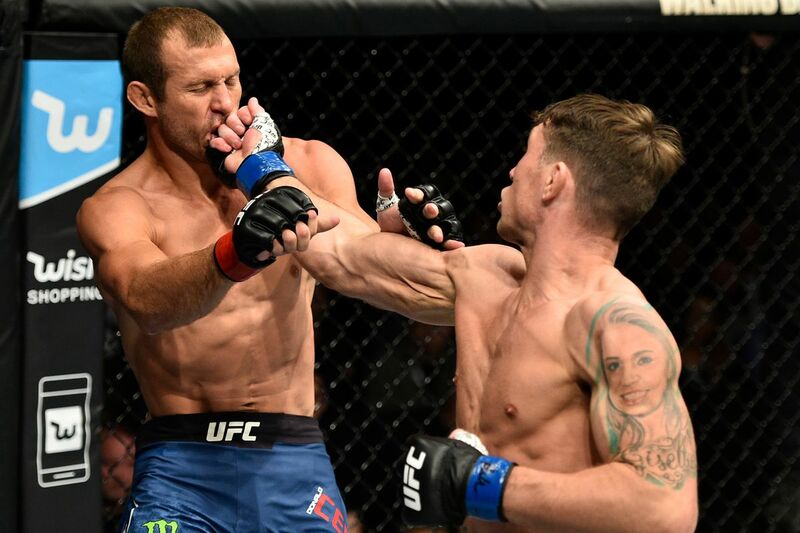 Top of the food chain UFC prospect Darren Till exploded on the scene a last year with a dominating victory over Donald “Cowboy” Cerrone. He easily dispatched Cowboy and in turn became a fan favorite and many fans and media included have hailed him as the next big thing in the sport. This weekend he faces the #1 ranked welterweight in the world in Stephen “Wonderboy” Thompson. Little did people known, Cowboy took that fight on short notice and didn’t even know who he was fighting. Cowboy was coming off 7 straight wars and getting knocked out viciously twice in the same fight with Jorge Masvidal. Reddit MMA fans have dug up footage from his previous UFC fights which seem to show an entire different story about Till’s actual skillset and fans have already started backtracking on his potential. 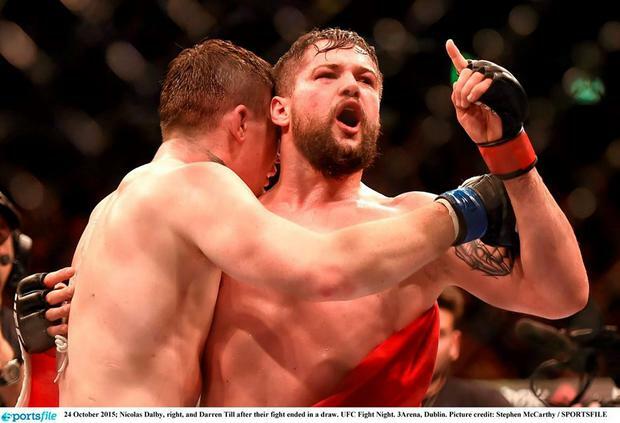 This is from the 3rd round with Nicolas Dalby in which he lost the round 10-8 and most fans and media believed he lost the fight but it was scored a draw by the judges. Till went on to win 2 more questionable decisions in the UFC before destroying Cowboy Cerrone. Check it out.